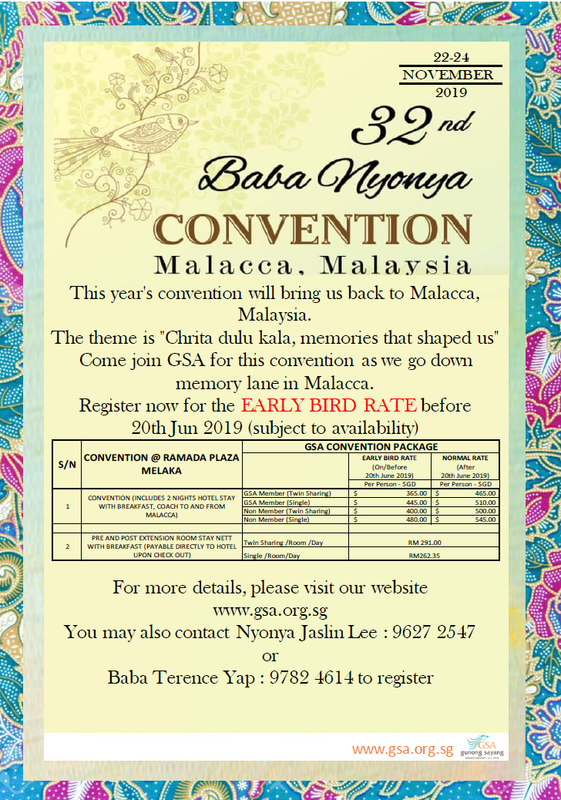 This year's convention will bring us back to Malacca, Malaysia. The theme is "Chrita dula kala, memories that shaped us." Come join GSA for this convention as we go down memory lane in Malacca. Register now for the EARLY BIRD RATE before 20 June 2019 (subject to availability). For fees, please refer to the poster. Download the registration form here. Your registration is deemed confirmed when the details are completed correctly and the payment received. Once registration is confirmed, cancellation is not allowed and payment is non-refundable. By joining the (GSA) membership, you’ll be receiving exclusive member-only benefits and privileges.